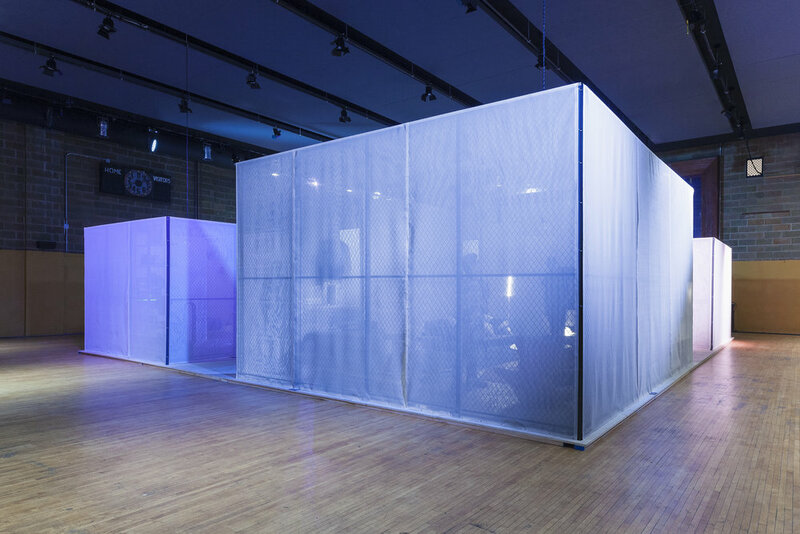 Designed as a temporary, low-cost, five-day installation for the website Gizmodo, the Home of the Future was designed as a series of domestic-scaled containers for new technology and domestic items that will impact our day-to-day lives. Four rooms sit on a plywood platform, all built in two days. Each room is based on the scale and proportions of domestic spaces of mid-century Sears catalogue houses, a prior paradigm of the American home. 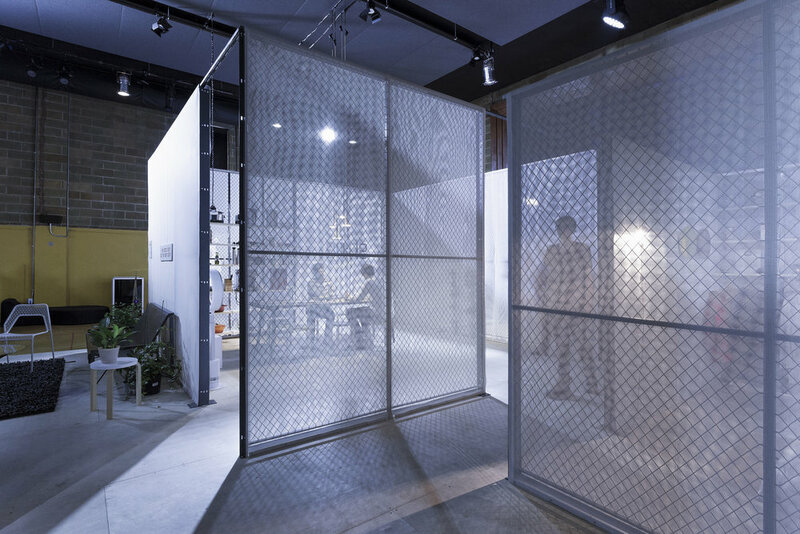 Sleeping, cooking, working, and social areas are each housed within a translucent and luminous box made of off-the-shelf wire fencing wrapped in canvas mesh. Circulation space occupies the gaps between rooms and spills out to the gymnasium beyond; these gaps were used for a series of public discussions related to the future of our cities and related burgeoning technologies. LED lighting embedded within the channels of the fence structure and projected lighting from outside the rooms allowed for programmed changes to the overall transparency of each space. The changing levels of light and varying direction of that light also created an amibiguity between inside and outside, public and domestic.